Everything would be relatively OK (and admittedly less embarrassing) if I weren't the system administrator and if I wouldn't tell guys working in Service Desk and similar technical positions as myself (you know Domain Admins who remember their passwords) to remember to change their passwords on Client domain before they expire. And now I am supposed to go to them and tell them to change my password because I forgot it myself. Well, that's not gonna happen! If you've not enabled NLA (Network Level Authentication) on your servers/computers that you're trying to log in via RDP, there's one little trick you can do if it doesn't let you in instantly. 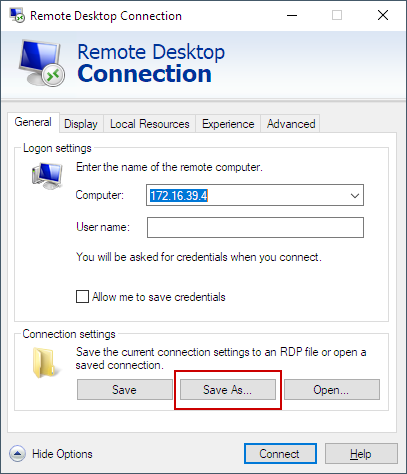 Open up Remote Desktop Connection and instead of pressing connect use Save As, and save your connection file to a safe place. Now when you try to login with the saved session file, it should let you in. However, in my case that didn't work. Surely enough I always enable NLA. Bummer. 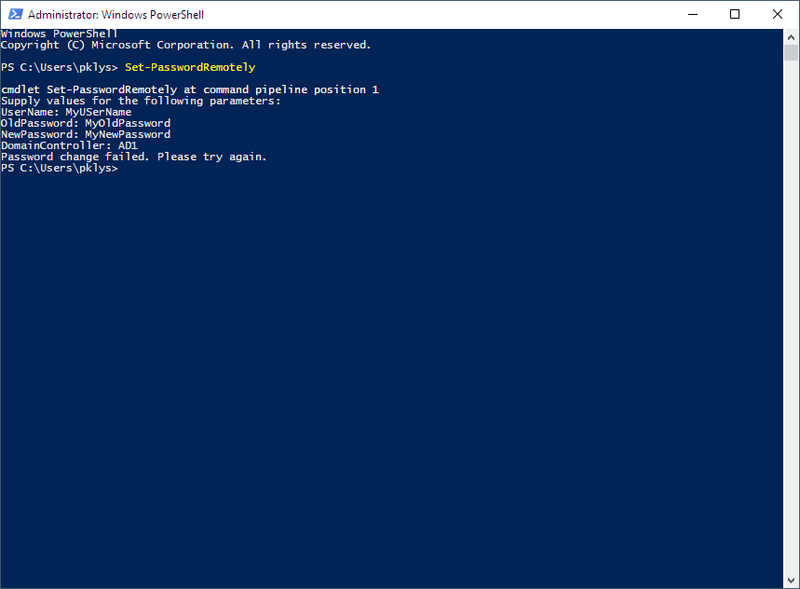 Fortunately, in my case, PowerShell is my friend. 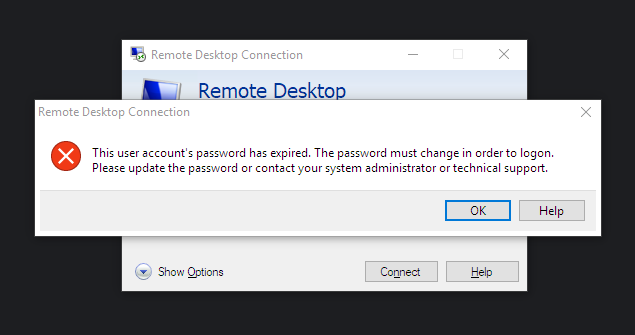 While it does not exactly change your expired password via RDP that you were looking for it allows you to change the expired password before you have to log in to RDP and in turn saves you from having an embarrassing moment. You will be asked a series of 4 questions that you need to fill in and your password will be changed (or not if any errors will occur in the meantime). You should aware that it will only work on non-expired passwords. LDAP will verify password prior to change. 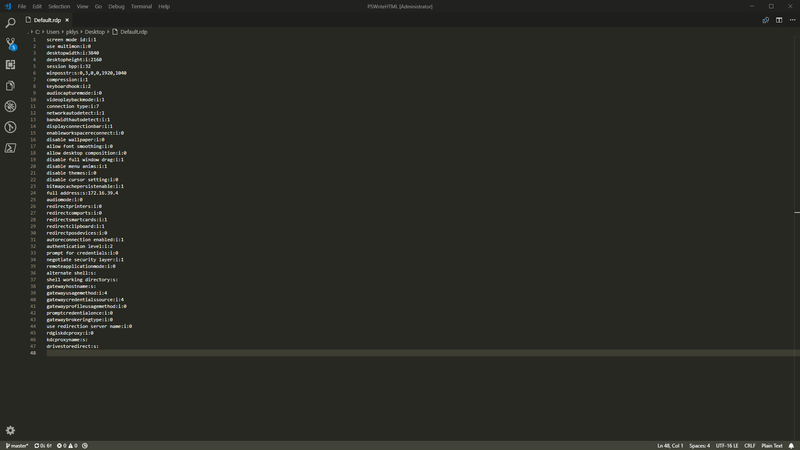 PSSharedGoods module actually has lots of different, sometimes weird functions that I use over and over in my modules. Feel free to explore on GitHub.